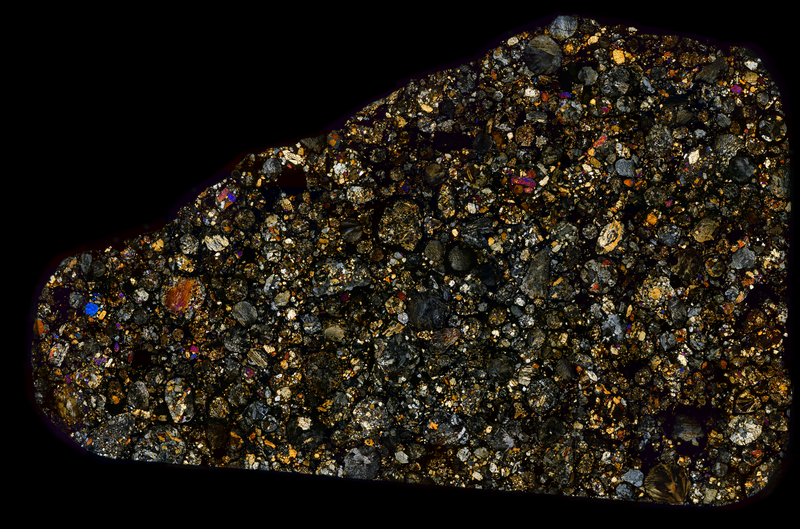 Chondrules, chondrules, and more chondrules. It’s amazing how the NWA 4910 meteorite can be packed so dense with chondrules and have so little matrix gluing them together. Make sure to look for the numerous armored chondrules and radial pyroxene chondrules contained in the thin section. Containing 3.06 billion pixels, this is the largest image I have ever created. The circular artifact on the left of the image is due to the great size of the thin section going over the microscope’s glass-stage aperture rim.